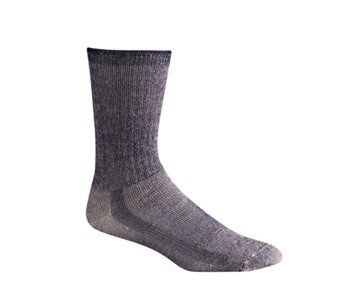 LADIES MIDWEIGHT TRAILMASTER HIKING SOCK - Your feet will love the feel of these merino wool hiking socks. Unlike regular wool, merino wool is itch free. Women love the arch support that these socks provide. This rich merino wool, stretch nylon blended fabric is durable, stretchy, dry, super soft and extremely comfortable. These socks are great for hiking as well as most any other outdoor activity such as camping, biking, or even walking around seeing the sites.